Best seller - Book early to avoid disappointment. 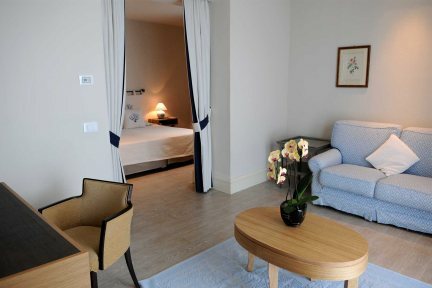 Positioned directly by the sea, Hotel Villa Margherita offers a friendly welcome as well as a personal service. Hotel Villa Margherita is a small, intimate and elegant hotel, centrally located in the seaside resort of Golfo Aranci and directly positioned by the sea. The hotel is perfect for couples seeking a peaceful and relaxing base with a range of facilities on their doorstep – bars, restaurants, a few shops and good beaches are all within walking distance of the hotel. 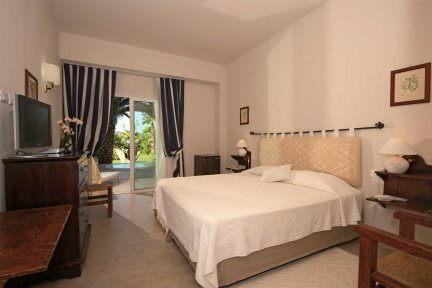 Appointed with great attention to detail, elegant furnishings and with personal service, Hotel Villa Margherita has become a real favourite amongst our guests. All bedrooms are comfortable, well equipped and tastefully decorated using light and creamy colours, and most have a balcony affording delightful views across the Golfo Aranci. 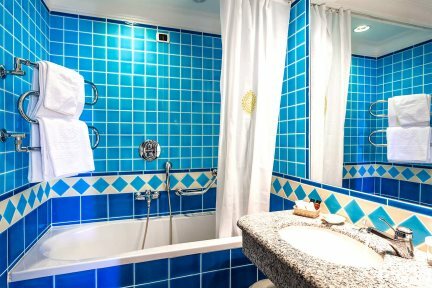 For a relaxing day in the hotel, why not lounge by the pool or in the Jacuzzi, indulge yourself with a massage (payable locally), or sample typical Sardinian cuisine in the restaurant? 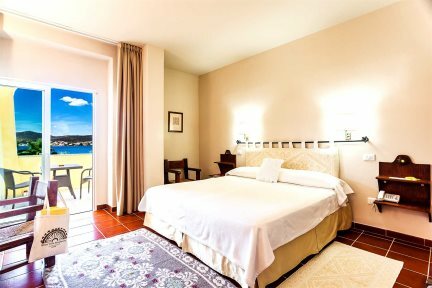 And for those wishing to explore the north east of Sardinia, there are many places of interest in the vicinity, including the vibrant old town of Olbia, the glorious beaches of the Costa Smeralda and the scenic Galluran countryside – the choice is yours! Swimming pool, Jacuzzi, restaurant (open from 01/05-20/10), bar, lift, fitness room, Turkish bath, massage room (payable locally). 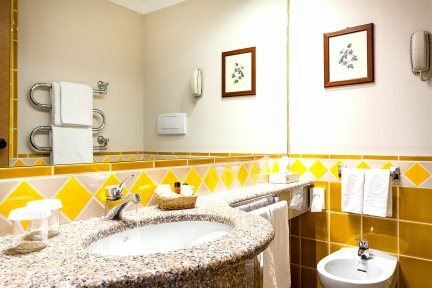 En-suite facilities, television, telephone, minibar, hairdryer, safe, Wi-Fi. air-conditioning/heating. 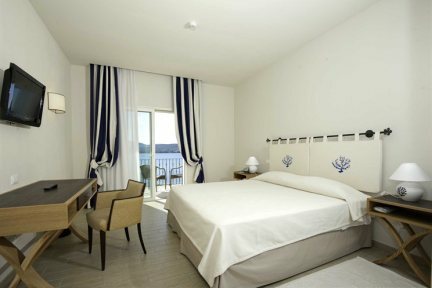 Elegantly furnished and very comfortable, these Deluxe Rooms (22m2) have a balcony affording fantastic views across the gulf of Aranci, with double or twin beds. Elegantly furnished and very comfortable, these Executive Rooms (25m2) are positioned on the highest floors affording spectacular views from the balcony. They also benefit from luxurious en-suite facilities. Elegantly furnished and very comfortable, these Spa Executive Rooms are located on the ground floor of the hotel with a large terrace and a private Jacuzzi, enjoying views across the gardens and the sea beyond. With double or twin beds, and en-suite facilities. 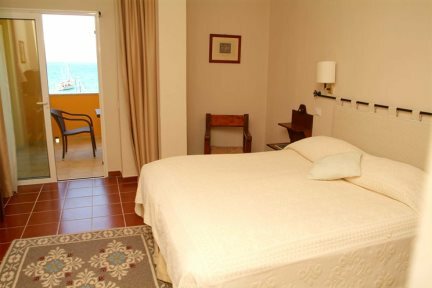 Elegantly furnished and very comfortable, these Junior Suites are the largest bedrooms in this hotel with a good size lounge area as well as a balcony with fantastic views across the gardens and the sea beyond. With queen size bed, and en-suite facilities. With access to 15 beautiful beaches, Golfo Aranci is a quaint seaside resort with a charming port. The town has a few local amenities such as shops, bars and restaurants, as well as many entertaining evening events and summer festivities. The best restaurants are near the port and serve fresh fish as well as classic pizzas. Just south of Golfo Aranci, Cala Sássari consists of several small coves with crystal clear waters and golden sand. A beautiful sweep of white sand with a number of water sports available for hire. 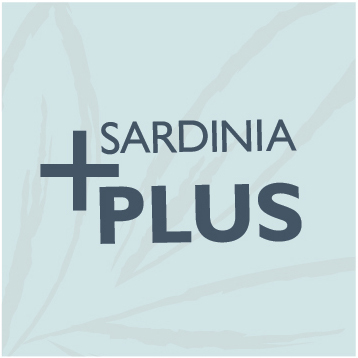 Sample traditional Sardinian cuisine in a farm restaurant. Amongst others, we recommend the Agriturismi Tenuta Pilastru, la Sasima, la Somara and La Colti, all located near Arzachena.